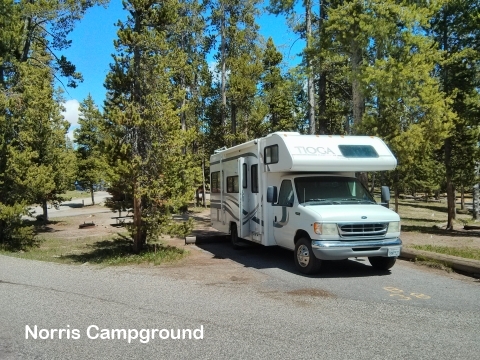 I changed the campground to the Norris, so that I could get closer to the next day's sight seeing. 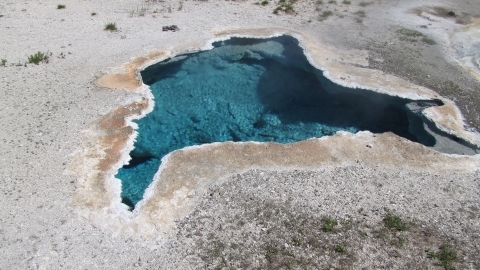 During the sleeping; as this diary is few day's late, couple of the big earth quake. 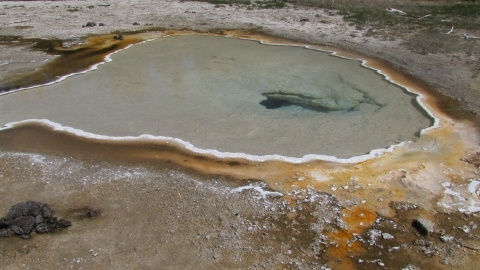 And hoped that do not erupt while I am in here. 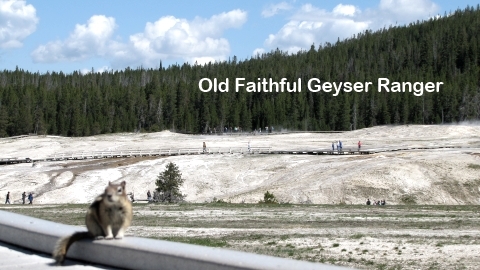 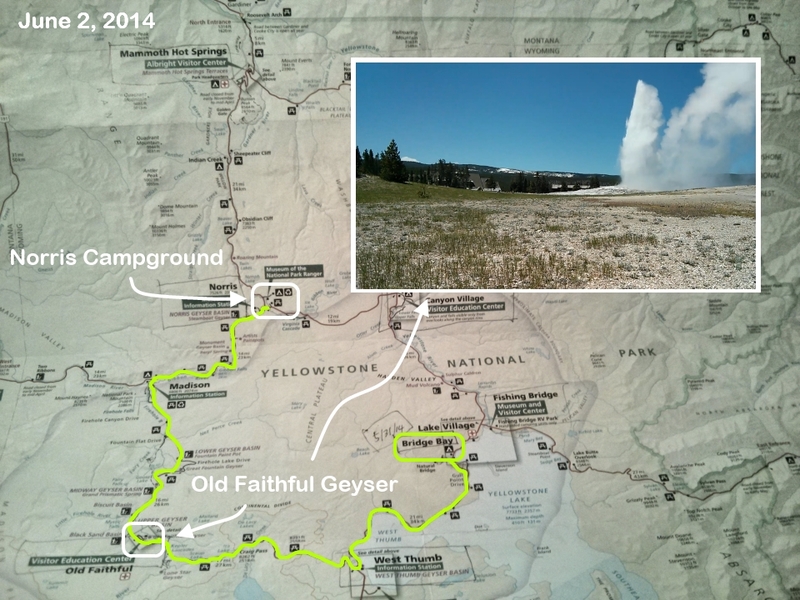 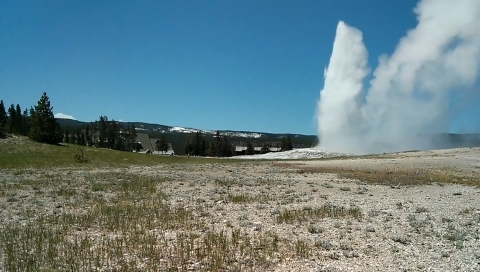 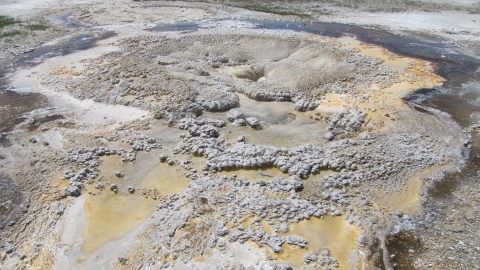 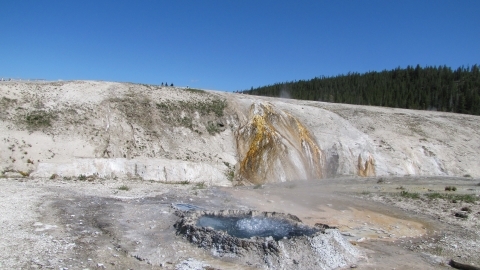 Few photos, Old Faithful Geyser action videos, and road scenery video clips at the bottom. 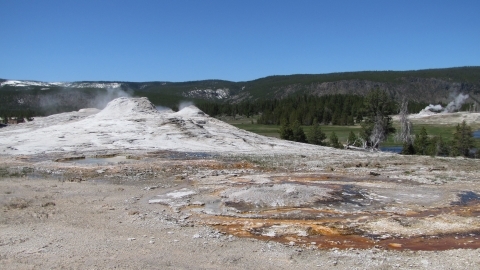 Geysers around Old Faithful area, many different types and colors. 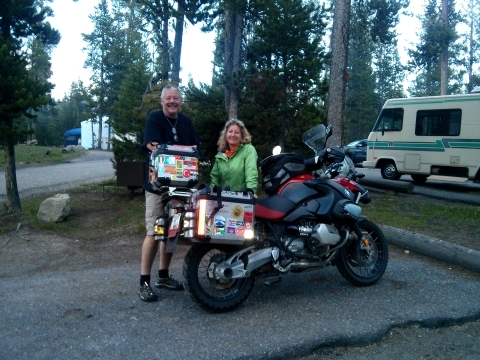 Norris Campground Neighbor, who travels with BMW Motorcycle from Canada.